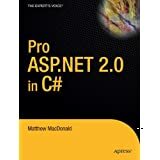 Pro ASP.NET 2.0 in C# follows the well-regarded Pro ASP.NET 1.1, rooted in the same best-practices and pragmatic style. Matthew MacDonald explains how ASP.NET 2.0 works for the professional programmer — covering both new innovations and the features carried over from the previous version. And while new features are important, MacDonald stresses the importance of the technology as a cohesive whole. His broad-based approach shows how all of the features inter-relate. This gives readers the solid understanding they need to code real applications. The authors’ ability to convey their obviously strong knowledge of the subject was outstanding – the language was not aimed too high nor was it unnecessarily full of jargon. I found the coverage of database access, rich data controls, session state and caching to be particularly valuable. Another area of great value to ASP.NET 1.1 developers is up-front coverage in each chapter to let them know what has changed in 2.0 from the 1.1 coding model. The breadth of coverage of this book is impressive – I cannot think of a significant topic that was not covered in some way. The authors seemed to focus at length on the most commonly used features of the language – they definitely covered the areas that I know we will be using. One quibble that I have with the book were the occasional typos that made it past the tech checkers/editors. 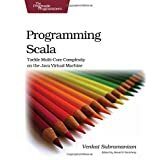 For example, the authors would introduce a new class name or method in a code block and then refer to that same class/method later in the chapter or in later example code with a slightly different name. While I have become accustomed to this in many tech books, I didn’t expect to see as many code errors as I saw in a book of this quality. Overall, I rate this book very highly and encourage any web developer that is interested in being productive with ASP.NET 2005 to get this book.